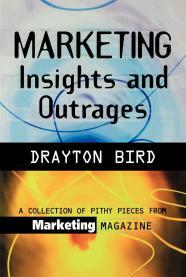 Drayton Bird Drayton Bird:- What has planning got to do with creative marketing? If you want your product or service to succeed, you have to make sure that you understand what matters and to what degree. 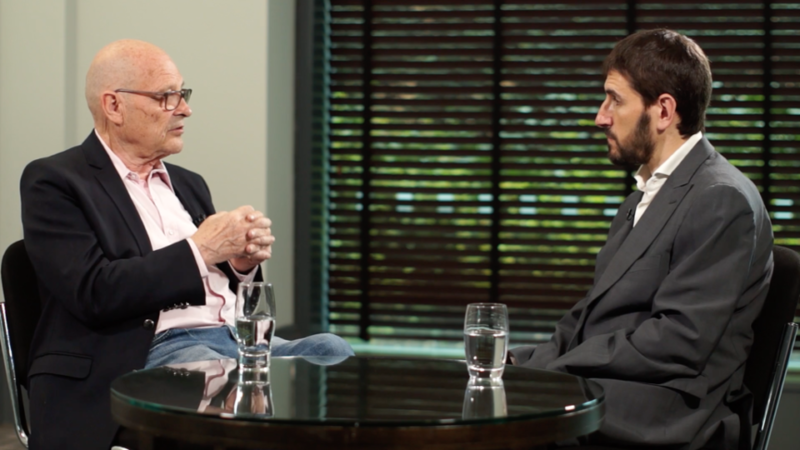 In this lesson, advertising legend, Drayton Bird, explains that before you can be creative, you need to plan like it’s a military strategy. 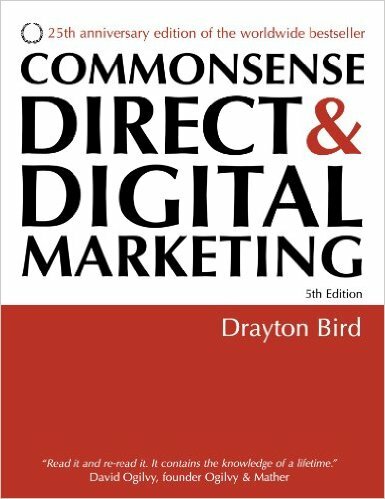 Grant Leboff: Drayton, one of the things that marketers, I think, often neglect, and I know you speak about quite a bit, is the importance of planning. Actually planning the marketing in terms of who, and when, and such as … Perhaps you could speak a little bit more about that. Drayton Bird: Well, if you wish to succeed you have to make sure that you understand what matters and to what degree it matters. In other words, what’s the most important thing, what’s the next most important thing, blah, blah…. what’s going to make the most difference because planning is all about military strategy. What is going to make the most difference? A lot of people, as I was saying before, concentrate on the creative, which is fun, but doesn’t make the most difference. Let’s look at the things that make the most difference. There are five of them. Maybe five and a half. Number one, what are you offering and what is it’s positioning, which we were saying a while ago, cannot be disentangled. That’s the most important thing. A good product, other things being equal, will be beat a bad product, even if its’ creative is rubbish. If you’re saying the right thing, you’re going to do better than someone saying the wrong thing, which brings us to the next thing which is research. 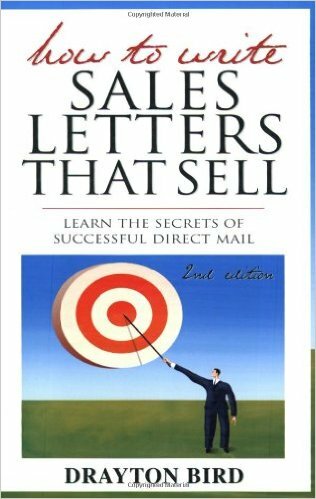 Drayton Bird: What do you know to find out … What can you find out about the people you’re talking to about your competitors and so on. Next comes when are you talking to people. If I talked to people at the right time, the right people who matter, in other words, targeting is the next thing. How well am I targeting? A rubbish message sent to the right people will do better than a brilliant message sent to the wrong people because they ain’t got any money for you. They’re not interested in you. Drayton Bird: The next thing, I think, and particularly now, incentives. If you look at what’s going on … Nothing has changed actually. I don’t care … You’ll notice … People watching this will probably as I do, go on the internet and people promise them all sorts of things and they usually start by saying I’d like to give you a free course on so and so. There’s nothing new about that. The man who had the greatest mind in marketing probably, was a man called Claude Hopkins, who flourished well over a hundred years ago when I was quite young. The way he launched products such as Pepsodent, which I sometimes use as an ad, was to offer a free sample. It’s the same thing as somebody on the internet saying, “Would you like to have this free” … It’s the same thing as when you walk down the street and you go past the supermarket and you see they’ve got a free offer of so and so today, or they’ve got a discounted offer, so incentives because what I give you is going to be far more persuasive than anything I can say to you. Drayton Bird: The last thing, which everyone loves to spend all their time on, which I spent an entire career on, is creative, because sometimes you know, brilliant creative can do the trick. I gave you the example in a previous part of this discussion, of American Express and the man who wrote this letter. This one letter, quite frankly, the American Express card is not for everyone. Well, that letter was tested against other letters every year for thirteen years. All over the world at American Express offices through Ogilvy and Mather. Nobody could beat it because that’s the power of great creative. Great creative has this element that distinguishes it from ordinary creative. It has the element of surprise. If you’re used to somebody coming out, “Hey, come on. Have it. Have it. This is free. That’s free” and somebody comes along and says, “Not everyone can have it.” That’s the element of surprise. The element of surprise in the Ogilvy ad was at sixty miles an hour, the loudest noise in this vehicle comes from the electric clock. Big surprise. Those elements make it … There are lots of examples. There was a commercial that was running a while ago for Cadbury with a gorilla playing the drums. Drayton Bird: It was surprising. Very, very surprising. The question is, how can you make that surprise relevant? Very often what creative does, very often, particularly on television, is they try to do stuff because … They do it because it can be done, not because it’s relevant. We can have a car turning somersaults sure. I don’t want a bloody car that turns somersaults. Maybe I’d like a more reliable car. Maybe I’d like a longer guarantee, a faster car, a safer car, but I’m not likely to want to turn somersaults. Grant Leboff: What’s interesting is you’re saying that the great creative and the element of surprise comes after you’ve understood the competition, you’ve understood the customer base, because then you can be surprising in a way that’s relevant and works, and is effective. Drayton Bird: If you’ve understood the people you’re talking to, and if you’ve understood targeting, where you’re reaching them and where you’re talking to them, then it’s much, much easier to come up with great creative. The nightmare scenario is when a client comes to you and says, more or less says, “Go and do what you like.” ….It’s being forced to fit a mold. That’s what makes great creative, being forced to do. Mozart wrote thirty-two symphonies was it? All to the same formula. Drayton Bird: Haydn wrote one hundred and two. All to the same formula. They didn’t … Mozart famously said, “I never tried to be original in my life.” It’s not … People are seeking the wrong Holy grail. It’s over there, they’re going over there. They’re saying, “Oh, let’s be creative.” I don’t want to be creative. Years ago, for about ten years, I wrote a column for a magazine called Marketing, and I got thrown out eventually for being rude about somebody who was a friend of the proprietor, and who went broke shortly as I’m glad to say. Almost the first one I did said first get it right, then try and be creative. Don’t do it the other way around. Your chances of trying to be creative and then hoping it’s going to be right are minimal. Minimal.